Image size: 38.5 x 40 cm. 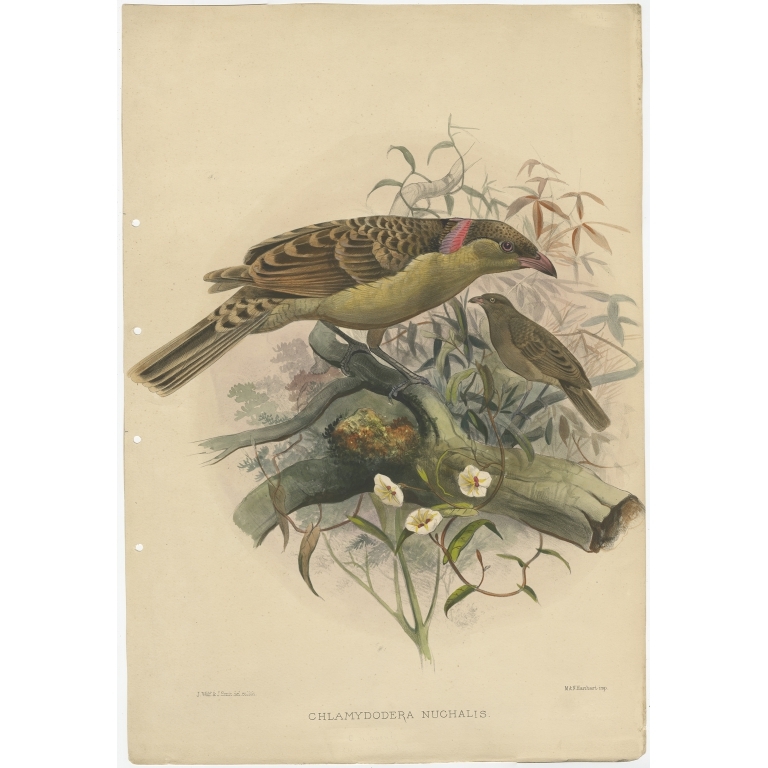 Description: Antique bird print titled 'Chlamydodera Nuchalis'. 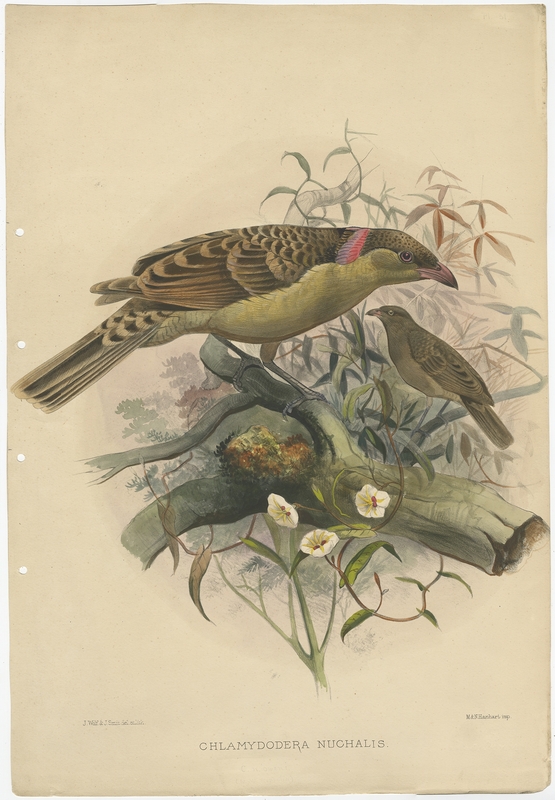 This print depicts the Great Grey Bowerbird. Originates from 'A Monograph of the Paradiseidae, or Birds of Paradise'.